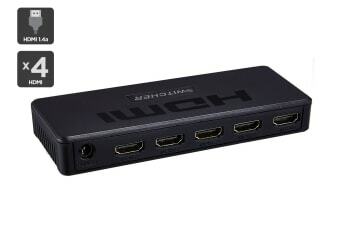 Connect up to four devices to a single HDMI input. The 4×1 HDMI Switch with Remote Control expands your viewing possibilities, allowing you to connect up to four devices to one HDMI input. 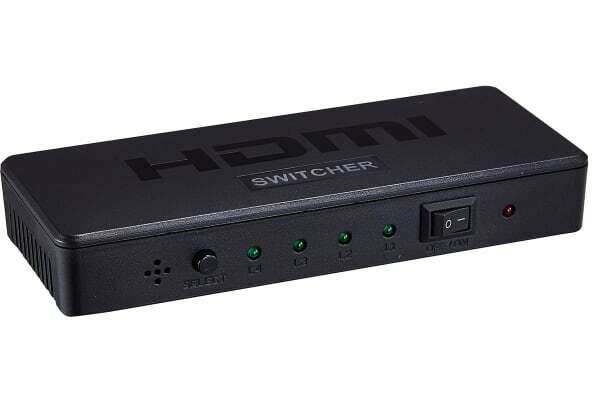 Connect your laptop, games console, set box box and digital projector to your TV at once, without ever having to remove a HDMI cable to replace it with another. It does everything I expected it to do. I received what I ordered and it did what I required.